Travers Goff: [voiceover] Winds in the east / Mist coming in / Like something is brewing / About to begin / Can't put me finger / On what lies in store / But I feel what's to happen / All happened before. Q: Is "Saving Mr Banks" based on a book? Q: Is this the first time that Walt Disney has been portrayed by an actor in a feature film? Q: Is it important to watch "Mary Poppins" (1964) before watching "Saving Mr. Banks" (2013)? Beautiful, funny & eye-moisteningly wonderful. Despite watching the trailer and knowing the broad story, Saving Mr. Banks still managed to surprise me. It's a beautiful, tender film that manages to be sad without being mawkish, funny without detracting from the emotion and with far greater depth than expected. Unfolding the story of Walt Disney's attempt to persuade P.L. 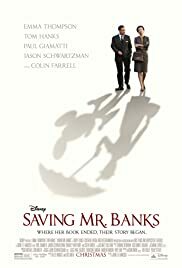 Travers to sell him the rights to her beloved Mary Poppins, Saving Mr. Banks is a delightful film that is deceptively emotional and flows smoothly enough to be entirely engaging. Travers (Emma Thompson) thwarts Disney's (Tom Hanks) attempts to secure the rights for twenty years until a flatlining bank balance and a mildly panicking agent persuade her to at least consider Disney's proposition or lose her home with certainty. Whisking her to Hollywood and bombarding her with all things Disney, the master of the House of Mouse spares no expense or effort to woo Mrs Travers and persuade her to allow him to keep his promise to his daughters to film the books they loved so much. But nothing prepares him for the stubborn, exacting curmudgeon who challenges him at every twist and turn and demands and demeans in equal measures. After the recent Captain Phillips, in which Hanks was astounding, there is a very good chance that he may join an exclusive group (of twelve so far, including co-star Emma Thompson) of actors to be nominated for two Oscars in the same year. Even more rarely, he'll deserve both nominations! Quite simply, it is impossible to imagine another actor in the role of Uncle Walt. He oozes charisma and his smile is used for so much more than merely expressing happiness. There is a genuine warmth to Hanks' performance and this is one of those rare occasions where I temporarily forgot I was watching him. 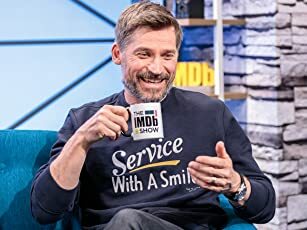 He's been a very good actor for many, many years, but this year I've had to reassess my opinion of him and state that he has transcended his deserved 'movie stardom' to become a very fine actor indeed. Unsurprisingly (and most welcome), Hanks is matched every single step of the way by Thompson. There is a magical thawing in her Travers in the course of Saving Mr. Banks where she pokes her head out of her hard, crispy chrysalis and threatens to become a warm(ish), witty woman. Early on in the film, it is difficult to like Travers as her demands become more extreme, her retorts more cutting and her demeanour downright unpleasant, but Kelly Marcel and Sue Smith's screenplay weaves the story of the film rights with the tale of Travers' troubled childhood to give reason for her crustiness and context to her literary creation. 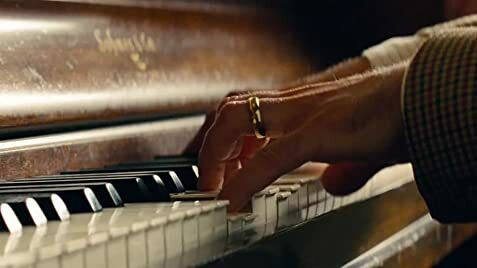 It is this aspect of Saving Mr. Banks that surprises most and completes the film. Director John Lee Hancock (The Blind Side) approaches each side of his female protagonist's life very differently and her buried history is shot in muted, dusty colours with a jagged Western romanticism that tempers the bleak happenings that shaped the girl into the woman. Colin Farrell is on his best form for years as Travers Goff, the drunk father who lives in his own fantastic world of imagination and adventure to escape the harsh reality of the real world. He is a man who fails consistently and knows it, but loves his daughter unequivocally. As with Hanks and Thompson, the chemistry between Farrell and Annie Rose Buckley (playing Ginty, the young Travers) is effortlessly beautiful. The casting is just one of the joys of Saving Mr. Banks, with Paul Giamatti chief amongst the supporting actors as Travers' driver, Ralph, a doleful puppy in human form that responds to every brush-off and verbal slap with another smile and encouraging word. In the studio Bradley Whitford as screenwriter Don DaGradi and B.J. Novak and Jason Schwartzman as the Sherman brothers bring more gentle humour as Travers' desperate, unwilling adversaries. There's no lazy leaning towards slapstick or cheap shots, rather Hancock steers their scenes gently allowing both the frostiness and the occasional sprinkles of sunlight to sparkle with sincerity. There are hints of Travers' adult life beyond her books but, though comments remain, it feels as though the backstory was excised for the final cut and so I came away from the film feeling that something was missing. The final act is perhaps a little too tidy; it glides towards a resolution too smoothly and nothing is made of the rumoured aftermath of the deal, but these are minor niggles in a beautiful film that carries one along and moistens the eyes occasionally. Saving Mr. Banks is an unqualified success. It is a joy to watch and leaves one hoping that Mary Poppins earns yet another screening in this year's Christmas TV schedule. 74 of 103 people found this review helpful. Was this review helpful to you?